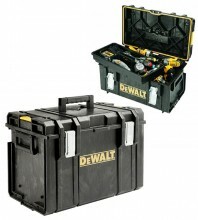 SKU: 1-70-349 Category: ToughSystem Brands: DeWalt. 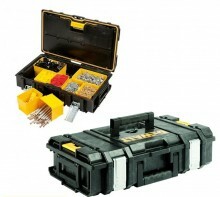 Professional tool storage units with a combination of space for large power tools and small compartments for your smaller tools, nail screws and drills. 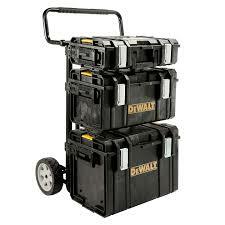 Durable steel chassis carries rigid tool boxes and enables to easily adjust them according to the needed height. 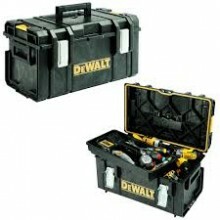 Secure system with central locking and protection of tools from water and dust. Combination fof DS150, DS300, DS400 and DSCarrier. 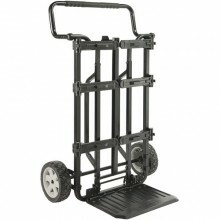 Be the first to review “ToughSystem 4 in 1” Click here to cancel reply.